All members are welcome! Please join us for our regular meeting at 7:00pm at Anthony Veteran Park. If you have an agenda item you'd like to raise please email friendsofthedogpark@gmail.com in advance. We hope to see you. 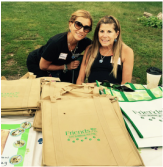 Lend a helping hand to make the dog park even more beautiful! 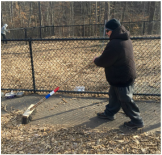 Assist by spreading wood chips, planting flowers, and more! 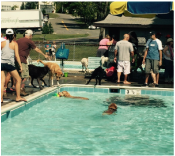 Every year we team up with the Town of Greenburgh Parks & Recreation Department to host a dog swim at the Anthony F. Veteran Park. 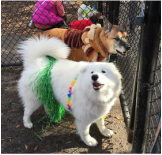 Dogs and humans alike are invited to strut their stuff and show off their Halloween costumes at the dog park. Every year we host fundraising membership drives. At the event, we sell custom merchandise with the FERDP logo.